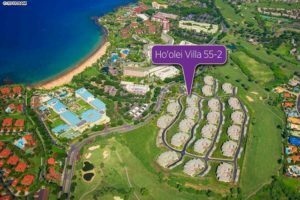 Our newest listing to market, Ho’olei villa 55-2 is located on the 2nd row and is perched just above the community club house and pool area. 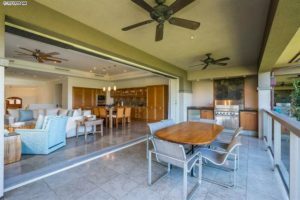 This ideal location in the Ho’olei community is the optimal blend of convenience and privacy, all the while being 2 turns away from the front gate. 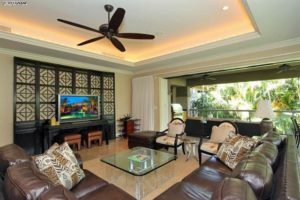 The layout is conducive to entertaining with an open design concept living area plus the 3rd bedroom on the 2nd floor, with the two remaining bedrooms on the bottom level. 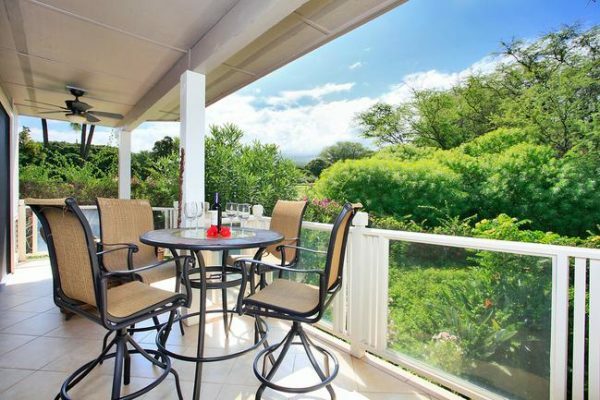 Surrounded in a tropical garden with lush views, the upper lanai offers privacy and deep blue ocean views. The unit is heavily booked throughout year and can be useful for helping pay for monthly expenses when the unit is not in use by the owners. 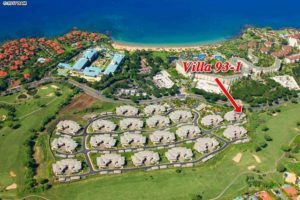 Listed last year in December, Ho’olei 93-1 is a highly sought after Hibiscus floor plan with all of the comforts of a single-family residence combined with the benefits of condominium living. This villa is both tasteful and comfortable. A stunning carved Mahogany door opens to a wide, grand staircase of honed stone, leading to the great room foyer. Entertain your family in your personal chef’s kitchen including two Sub Zero refrigerators, four freezers, and Wolf stainless steel appliances throughout. 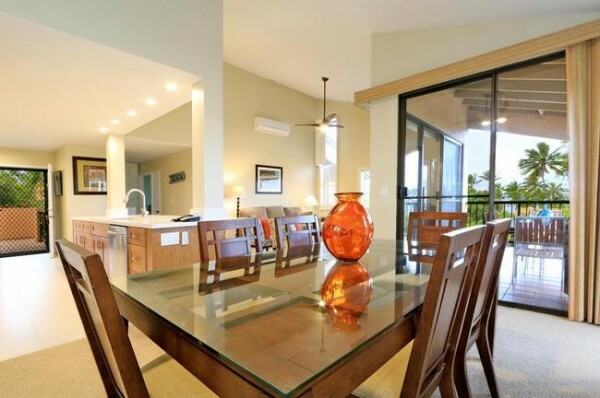 Thick dual-paned Fleetwood glass doors magically retract into the wall to reveal and allow access to the 2 covered lanais. This indoor/outdoor living arrangement is an ideal setup to enjoy your meals outside. A recent remodel completed in the last leaves Grand Champions villa 29 standing head and shoulders above its next closest competitor. 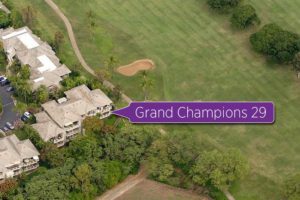 For the price of one Grand Champions unit, buyers are essentially get 2 because of the diverse floor plan of the unit. Technically a 2 bedroom and 2 bath unit, however, there is a lock off feature that can turn the unit into 2 separate units with their own private entries. Under the 2 unit configuration, 1 unit can be used as a studio and the other works as 1 bedroom and 1 bath unit. 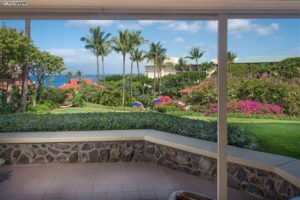 The unit offers a quiet 1st floor corner location enchanting views of the Old Wailea Blue Golf Course. 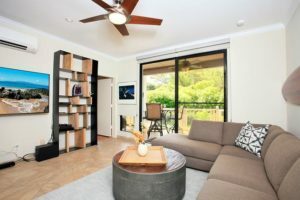 The unit comes complete with covered outdoor lanai that can be used as another focal point of the because of its cool breezes and spaciousness. 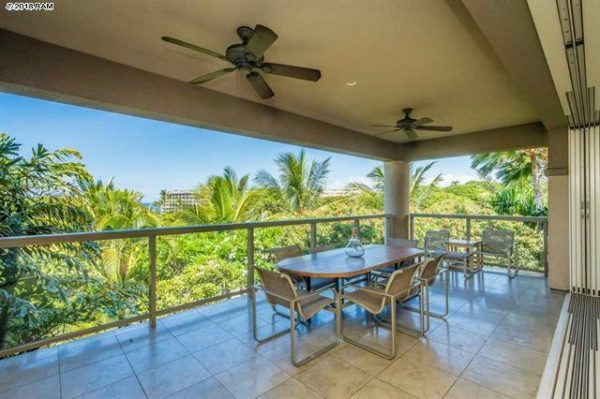 2 bedrooms | 3 bathrooms | 1620 sqft | 490+ of total lanai sqft. 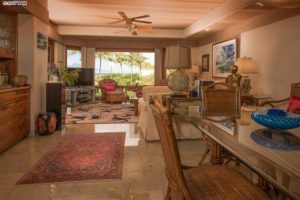 Listed more than 1 year ago, Wailea Point 2203 has seen no price reductions in its time on the market and is easily one of the best values you will see in all of Wailea Point. Upgraded over the last few years, the could use some finishing touches to bring it up to modern standards. Sitting higher up the complex, the villa can take advantage of the elevation and offer stunning ocean views from 300 sqft. covered lanai. With an enclosed lanai off the master bedroom, it offers extra living space to the unit and functions as a useful interior “den” space. 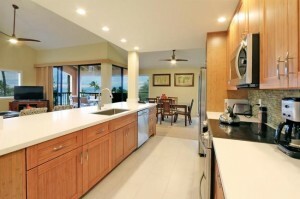 Stay in touch with the Wailea Point market by subscribing to our Wailea Point new email listing alert.